On behalf of WFTO-Europe Board of Directors and staff, I would like to thank once more the people and members’ organisations who made our first ONLINE Annual General Meeting (AGM) a real success. As stated in the letter sent to all of you by our President (Giorgio Dal Fiume), “we were glad to see that we do not only reach the needed quorum to validate our AGM, but – much more relevant – we got an attentive participation of the people beyond the display, who raised up several questions and comments. We were delighted to feel a very warm, friendly and trustful atmosphere during the meeting, which is for us the most relevant ingredient to feed the relationship between the WFTO-Europe Board and its members, as well as the most important goal to achieve”. I also would like to take this opportunity to remind you the Extraordinary AGM will take place in New Delhi on the 12 of November 2017, during the WFTO Biennial Conference. Five new Board members will be appointed at that time. Hence, I do encourage you to register as soon as possible to the Conference in Delhi as well as to send to administration[at]wfto-europe.org your candidature if you are interested in taking over the role of Board member within our organisation. Please also note that WFTO-Europe Annual Report 2016-2017 is officially on and accessible to everyone. I wish you a wonderful summer break. In the last issue of our newsletter, we shared the results from our survey on how members relate Fair Trade to the Annual Topic of Migration. The results showed that some members already work on the topic. That is why we would like to dedicate this session on our Newsletter to present you their activities, which are great examples on how Fair Trade relates to Migration. One strong case on this, is the activities of our member EZA Fairer Handel GmbH in Austria. They have been engaged in two main actions on migration: a “Drop Earring Not Bombs” project as well as a Cooperation and Producer Tour with representatives from Fair Trade Lebanon for the World Fair Trade Day (WFTDay). The “Drop Earring Not Bombs” project aims at employing Syrian refugees in Turkey to produce earrings. These are sold as handmade jewellery that tell unique stories and make a meaningful impact on the lives of refugees who do not have the ability to work in Turkey. EZA Fairer Handel GmbH has been supporting the initiative. They purchased an order of 2000 earrings to sell in the Austrian world shops. They also produced communication material to raise awareness about the project. The Cooperation and Producer Tour with representatives from Fair Trade Lebanon for WFTDay had three aims. Firstly, to inform the general public about the situation concerning refugees in Lebanon. Secondly, to raise awareness about the engagement of FT Lebanon to prevent migration within their country by providing people in the rural area income. This was made possible by growing and processing traditional Lebanese products such as those imported by EZA Fairer Handel GmbH. Furthermore, by training Syrian women on how to process food as an income generating activity especially after their return to Syria. Thirdly, to promote the products made by the cooperative Fourzol (and other FT Lebanon products) as well as the work of the cooperative Fourzol. The activities to reach these aims focused on inviting representatives to come to Austria for 8 days where EZA Fairer Handel GmbH organized several public events and interviews with the press. EZA Fairer Handel GmbH also promoted the products on FT Lebanon around WFTDay. The inspirational work of EZA Fairer Handel GmbH shows Migration is another of the many issues that can be addressed with Fair Trade. On the 10th of May 2017, WFTO-Europe and other actors from our network had the pleasure to attend an event at the European Parliament (EP) organized by the Fair Trade Advocacy Office. The event addressed the potential to link Small and Medium Enterprises (SMEs) to Fair Trade producers in the South for the enhancement of sustainable value chains. The event was hosted by MEP Bernd Lange, Chair of the EP Committee on International Trade, and MEP Dita Charanzová, Vice-Chair of the EP Committee on the Internal Market and Consumer Protection. The first part of the programme consisted of a Workshop “Linking Fair Trade producers to small and Medium Enterprises (SMEs): existing initiatives and challenges” presenting different case studies. For example, Ms. Jane Katahwire Mbabazi, Vice President of the Ankole Coffee Producers Cooperative Limited (ACPCU) came all the way from Uganda to present their work and societal impact as a Fair Trade coffee producer. Also WFTO-Europe’s member Equo Garantito, represented by its General Manager Ms. Eleonora Dal Zotto together with Ms Silvia Fontana, Marketing Manager at GALA Cosmetici, had the chance to present how an Italian SME specialised in natural cosmetics can cooperate with a Fair Trade Organisation. The second part was an exciting panel discussion and open debate on how the EU can improve its support to partnerships between Fair Trade producers and SMEs. One of the points made was that Fair Trade should not merely be a niche market but that it should be scaled up to be the general market. The event ended with a Fair Trade cocktail at the European Parliament Salons. This part was opened with speeches from WFTO Chief Executive Natalia Leal and Fair Trade International Chief Executive Officer Dario Soto. Both speakers stressed that Fair Trade is not just a label, it is also a concept. The label is a tool to ensure this. In the beginning of June, WFTO-Europe participated in the European Development Days. Here, we shared a stand with Fair Trade Advocacy Office and Fair Trade International promoting Fair Trade as the way to Sustainable Development. Furthermore, we attended sessions together with some of the most important decision makers and advocates in the world: Presidents (from Norway, Ghana, Senegal, Bolivia and other countries), UN and EU representatives, NGO representatives, young leaders, entrepreneurs, CEOs and professors. This is a great confirmation of how important our network is and gives us the motivation to keep working for Sustainable Development through Fair Trade. Kindly read the instructions first before submitting entries. Read here. Please use the online form to submit entries, click here. Suspended members are not eligible to register for the WFTO Conference in Delhi using the discounted member’s registration rate. For queries on the Guarantee System requirements, contact membership@wfto.com; for queries about the WFTO fee payment, contact administration@wfto.com. For queries on the Delhi conference, please contact delhi2017@wfto.com. More than 60% of the rooms available at the Crowne Plaza for the conference period (between 9 to 13 November 2017) have already been booked. In addition, the hotel venue has run out of single rooms allocated to the WFTO Conference. There is a waiting list, in case a single room becomes available, but there is no guarantee. If you want to be included in the list, please contact delhi2017@wfto.com. Update 4: WFTO-Europe AGM will take place on the 12th of November in New Delhi. The 11th International Fair Trade Towns Conference will be held on the 14-17th September in Saarbrucken, Germany. There are until now almost 2000 Fair Trade Towns in 31 countries on five continents, a meaningful numbers that continues to grow. This is something to celebrate in September! With the main site in Germany, the conference will be held in four cities in three European countries: Luxembourg City in Luxemburg, Metz in France as well as Saarbrücken and Trier in Germany. This will be made in corporation with the three national Fair Trade Towns campaigns. This year, the conference theme will be ‘Fair Trade Across Generations’ emphasizing on how the Fair Trade movement reaches all generations and initiates partnerships on a local, regional and international level. Furthermore, Fair Trade’s commitment to help achieve the Sustainable Development Goals is critical for a worthy future for our next generations. 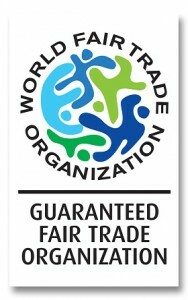 WFTO will be among the panelists to raise awareness of our Guarantee System and label. We are proud to inform you that right now around 35 Organizations in our network successfully passed through the WFTO Guarantee System while the others are at different steps of the process. At the regional level, WFTO-Europe is processing 5 monitoring applications while we are managing 5 new membership requests. WFTO-Europe attended the Belgian Fair Trade Federation’s Business Day together with Fair Trade Advocacy Office and Fair Trade Belgium. Here, Francesca Giubilo presented about the Guarantee System and value of our network. WFTO-Europe is pleased to welcome its new provisional members: Esgii, Fair-Netz (Netzwerk regionaler Fair-Handelszentren e.V. ), Scottish Fair Trade Forum, Mekhada, Ojoba Collective, Dece Clothing, Dassie Decor and Ulandsforeningen Svalerne. We are also happy to have many new guaranteed members: Island Spirit, Sackeus, AlchemiA VOF, OXFAM Magasins du Monde, Fair Monkey AB, Amandla, Simbolica, dwp eG, Elecosy and Tilingo Nepra VOF. The last board meeting was held on the 6th of July in Brussels. Please log in here if you want to access all the Board Meetings held by WFTO-Europe. The next one is planned to take place on 26th of July, via Skype.